Just saying this country makes you feel like you are on an exotic safari! 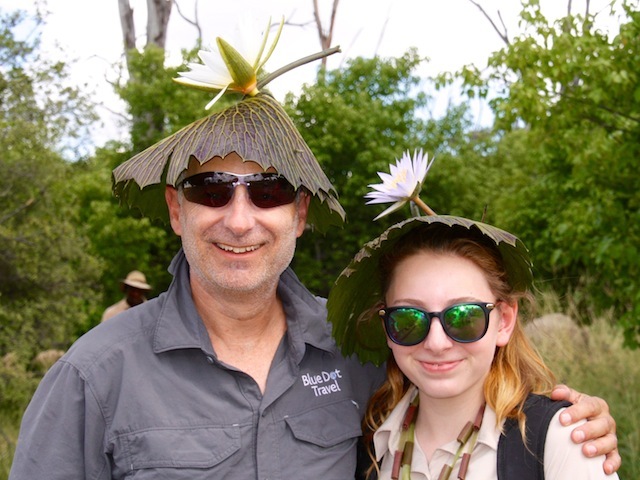 Recently I camped in Botswana with my teenage daughter. It was a never-to-be-repeated daddy/daughter experience. There were about 10 of us in the group including another family from Sweden and others from France and Germany. 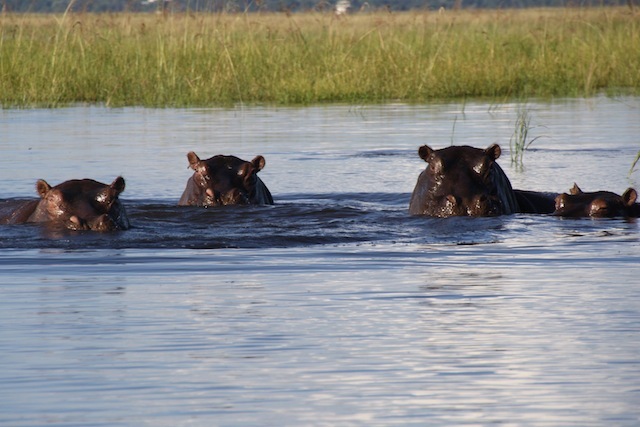 We all stayed in two safari camps – Moremi and Chobe National Park. 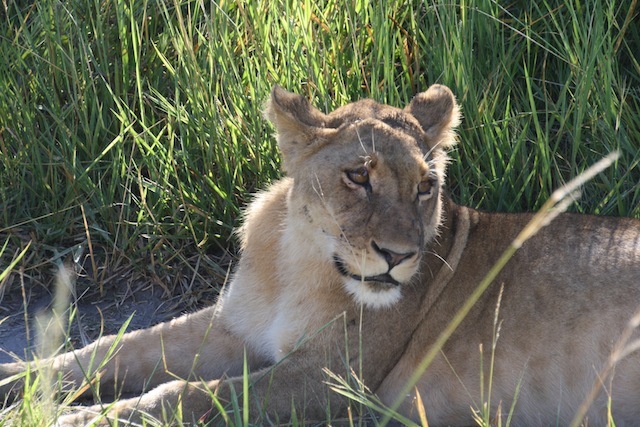 Both were amazing in terms of the wildlife and the camp facilities. It wasn’t “glamping” by any stretch of the imagination however, the rawness added to the adventure. One night over camp dinner, the group decided to count the wildlife we’d spotted over the past few days. The resulting list included the “who’s who” of African wildlife and is far too long to publish here. What I can say however, is that there were dozens of animals that none of us had ever seen before – let alone in the wild. All our expectations were far exceeded. We then went on to discuss our favorite “spotting”. 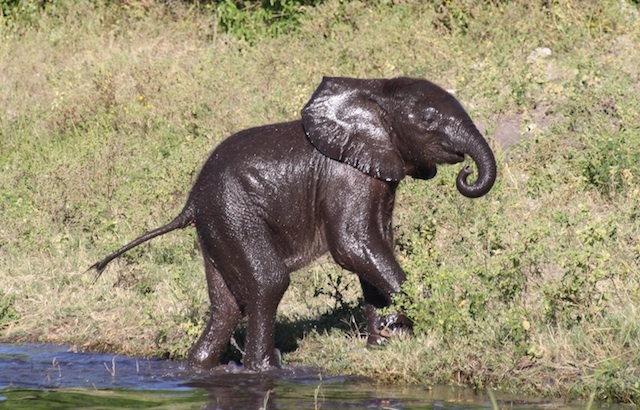 Huge elephants up close, leopards, lions, zebra, hippos… the list went on. For me however, it was a heard of giraffes. Our driver/guide stopped at the side of the road and out from the bushes came about 15 giraffes – of all sizes – one by one in single file. There were old and young adults, teenagers and babies. We were about 20 metres away. They kept their distance from us but weren’t overly concerned by our presence. 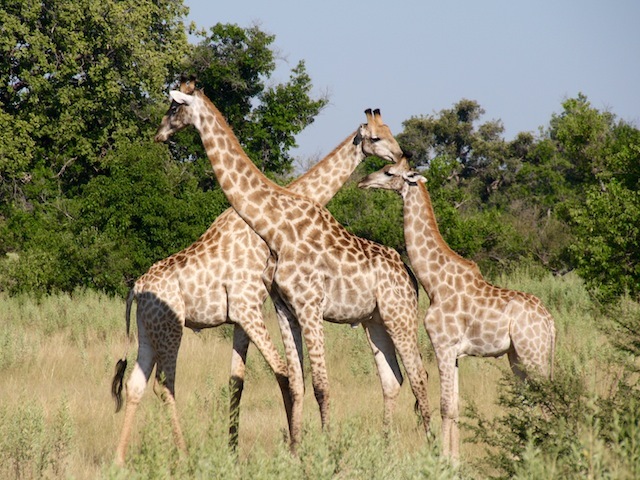 Giraffes are incredibly graceful - they walk with a forward sway. The young males would stop now and then to thrust their necks at each other, just like teenage boys might throw soft punches in a sign of affection, not aggression. We watched the heard – and they kept an eye on us – for about 20 minutes. Like a campfire or the waves crashing on rocks, it was something that we could have sat and watched for hours. The African wilderness at its best, simply majestic. 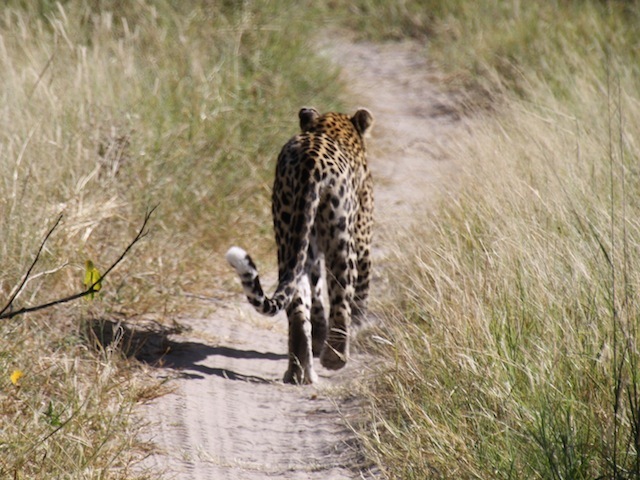 I would visit Botswana again without any hesitation. However, I have a tip for anyone thinking about camping in Botswana with their daughter… The showers hold about 10 liters of hot water (boiled over a camp fire). It lasts for about 3 or 4 minutes. If your daughter showers first, give her a strict time limit. Embarrassingly, I had to yell out to my daughter to ask the guys to fill the shower whilst I stood there in the dark, all soaped up and no where to go! There was much laughter from the others! 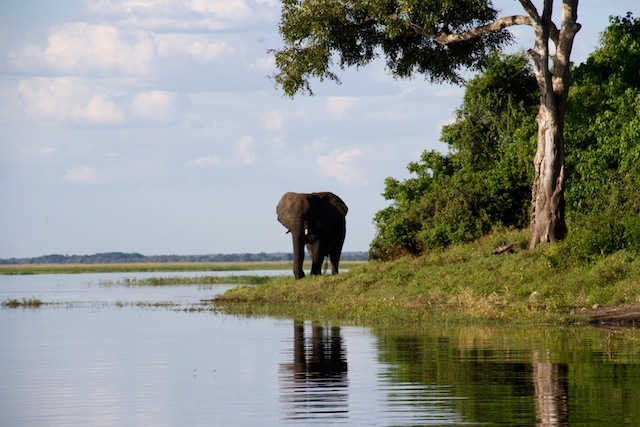 We loved it so much Blue Dot Travel now offer your Botswana safari as part of our small group tours Africa which includes the Makgadikgadi Pans, the Okavango Delta and Chobe National Park. 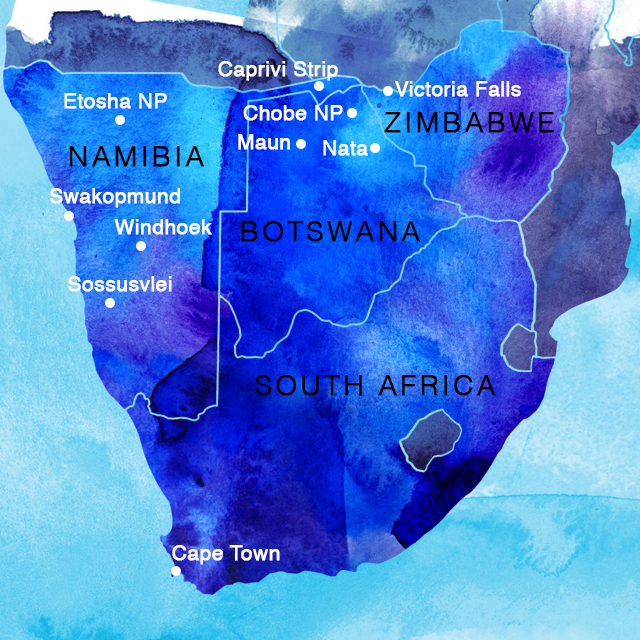 Our trip also includes Namibia, Capetown and Victoria Falls. 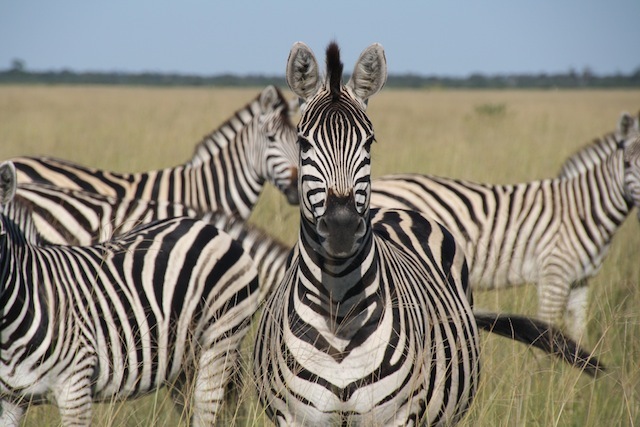 Blue Dot trips to Botswana, Namibia, Capetown and Victoria Falls - book here with Blue Dot! Click here. Brett & Holly ... cute hats!